The ease with which you can load and unload vehicles in your facility plays an important role in keeping materials and products moving. An investment in the right tools is one that can drive productivity and profits in your operation. For more than 100 years, SEMCOR has been helping businesses solve the logistical and engineering challenges associated with fluid handling. We have partnered with leading manufacturers of platforms, swivel joints and other loading equipment to offer our customers comprehensive solutions to the problems that cost them money every day. Our current offerings of loading equipment includes products by OPW Engineered Systems and SafeRack, all of which can be modified or customized by our in-house team. For more information, follow the links below or contact our office directly. SEMCOR is an authorized distributor of OPW loading arms and systems. With available products including top and bottom loading arms, electronic rack equipment, safety breakaways and more, OPW loading equipment helps organizations move fluids faster and more efficiently in a wide range of industrial settings. Whether your application involves hazardous chemicals, solvents, petroleum products or other materials, we can put together a complete package that makes your bulk loading and unloading processes safer and simpler. OPW swivel joints play an important role in a number of industrial processes. 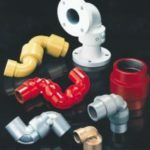 Engineered for superior versatility, they give process engineers the ability to design more flexible systems that use metal piping in place of heavy and dangerous hose. As a result, they are ideal for use in applications such as chemical and petrochemical processing, wastewater treatment, brewing, farm irrigation and more. Contact SEMCOR for more information about the complete lineup of OPW general purpose, split flange and hose reel swivels. SafeRack loading equipment includes both truck and rail car platforms and racks of various sizes and configurations. From the biggest operation to the smallest, SafeRack products provide fast and convenient access to loading spaces as part of a seamlessly engineered and integrated fluid handling solution. As an authorized SafeRack distributor, SEMCOR will work with you to select and customize products from the company’s extensive inventory. In addition to stationary systems, SafeRack also manufactures a number of portable loading platforms and related equipment for both truck and rail yard use. Featuring ergonomic designs and advanced safety features such as non-slip treading and four-rail safety cages, SafeRack equipment meets OHSA requirements without impeding productivity. Use the company’s portable loading equipment in the most demanding and challenging applications, including loading and unloading tanker trucks and rail cars. Several base products are available that can be customized to meet your working requirements. Gangways and loading ramps available from SEMCOR include flat ramps, telescoping ramps and self-adjusting stairs. Like all SafeRack products, they are extremely versatile and durable, built to withstand the tough working conditions found in trucking distribution centers, manufacturing facilities, rail yards, ship yards and more. Key features include oversize parts that resist wear, and counterbalanced/adjustable springs that make them easier to raise and lower. Contact SEMCOR directly for more information about available products.